Is your organisation a District, County, Supreme or Federal Court or related entity? Secure Collaboration Tools – but you found these new products only checked alignment between user, content and context; they didn’t control how content was used, especially on mobile devices. In any case, you weren’t comfortable using technologies unproven in your situation. 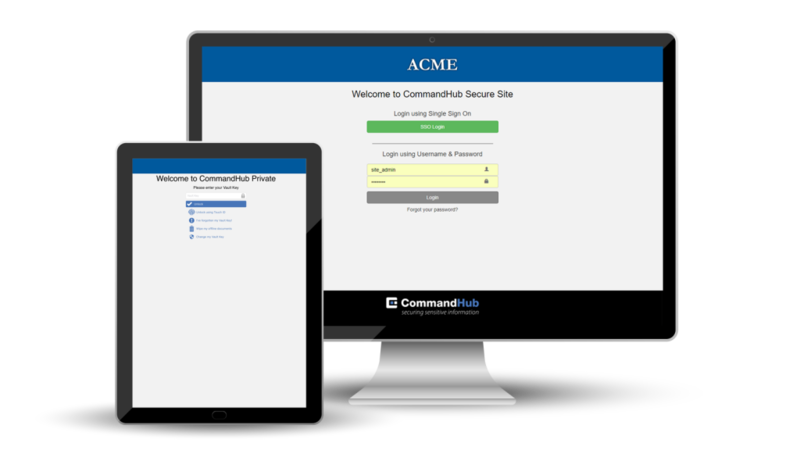 CommandHub takes collaboration security well beyond user-level or file-level controls. Using the Intelligence Community principle of ‘compartmentation’, CommandHub restricts access to a ‘need to know’ basis. You create multiple levels of compartments, each one with individual controls. This way, regardless of seniority or role, users will only see the content they need to do their jobs, and nothing more. This approach is also simpler to set and control. CommandHub isn’t a collaboration tool to which security was later added. It was designed from the ground up for secure collaboration, based on the Military Principle of multiple layered servers. In addition, the hosting environment has been certified up to PROTECTED status by the ASD (Australian Signals Directorate). Protecting information at the server level is only the start. CommandHub also protects your sensitive information in transit and in use, including on mobile devices. HubVault technology features a multi-encrypted file transfer tunnel that replaces the need to browse. In addition, HubVault secures data stored on mobile devices, using further encryption and a non-recoverable key, rendering the devices ‘uncrackable’ if mislaid. 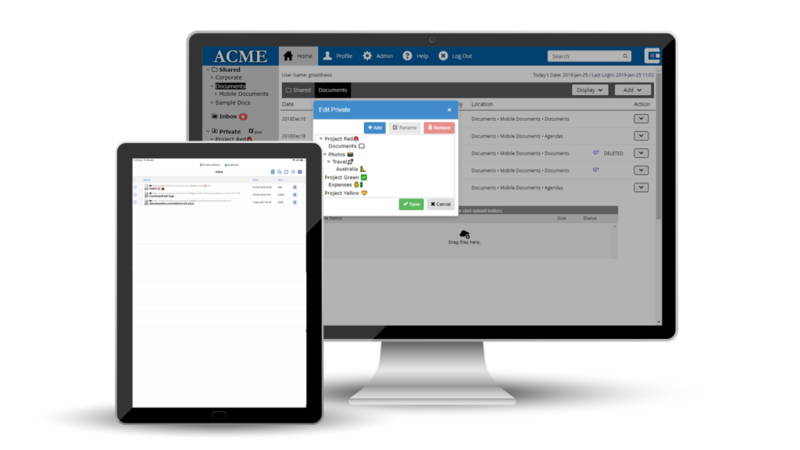 CommandHub lets you set controls for how internal and external parties can use sensitive content, so you know your business rules are followed by everyone. These controls include who can see, edit or save a file, who may move it to where, how approvals and rejections apply, the exact sequence of these steps as well as version control, watermarking, file-locking and more. CommandHub was designed to be used by business users without the need for IT help. After 30 minutes of’ training, your administrators will be comfortable setting up file structures and applying controls to them. When parameters or legislation change, they can adapt the settings themselves. 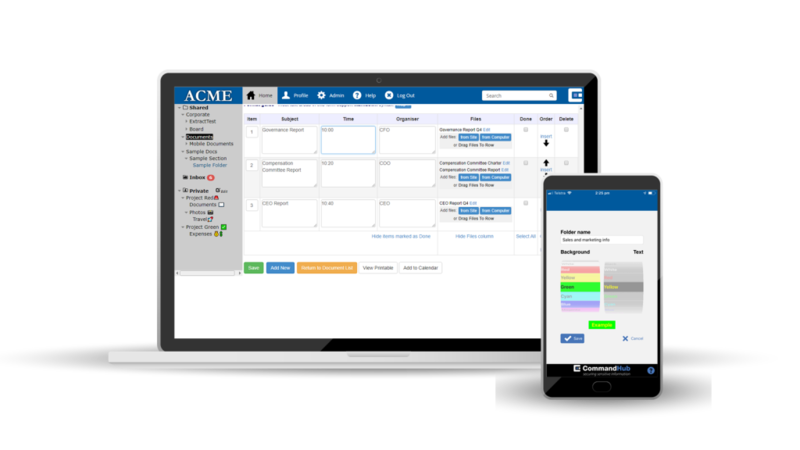 The intuitive interface makes working with CommandHub easy too, so your users won’t consider workarounds and risky practices. 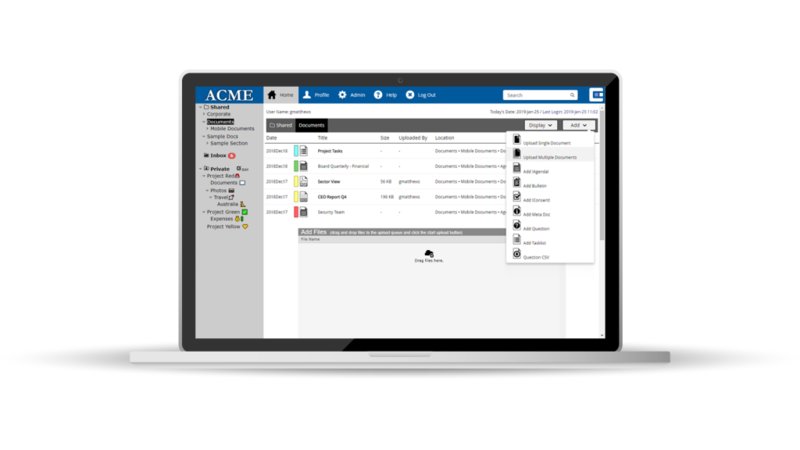 CommandHub is easily tailored to your individual organisation’s need, with over 500 configuration settings. 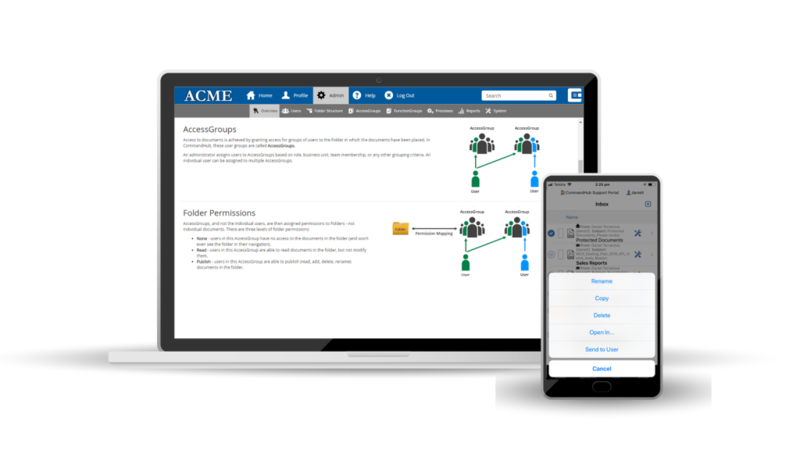 Your administrator can simply turn rules on or off for files, access, use, formats and settings at any level. CommandHub ensures that your sensitive data is fully protected, without impeding how your internal and external users work. CommandHub has been protecting sensitive content in highly demanding situations for over ten years. These include Justice, Government, Defence Contracting, Finance and Telecommunications. 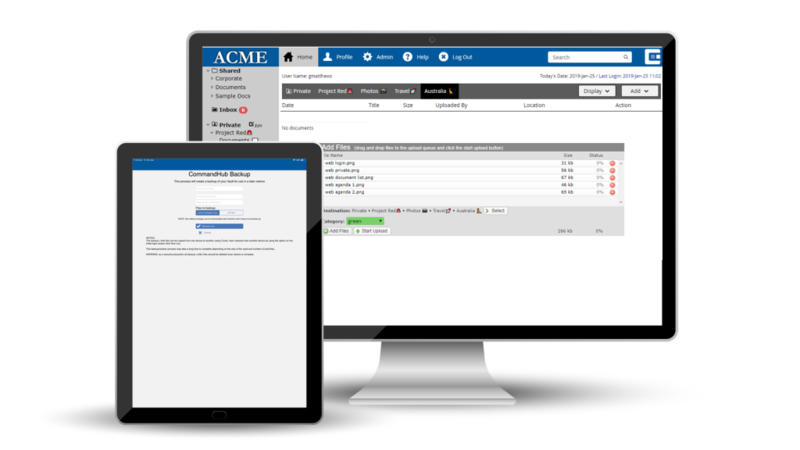 CommandHub is also widely used by Executive Committees. Ask us about our case studies. 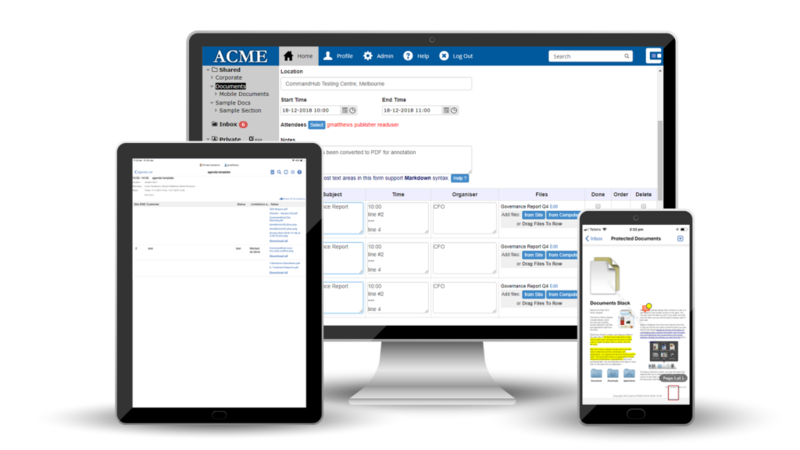 Contact us to discuss how CommandHub could ensure secure collaboration in your area of Justice or find out about JuryHub – special functions just for juries.